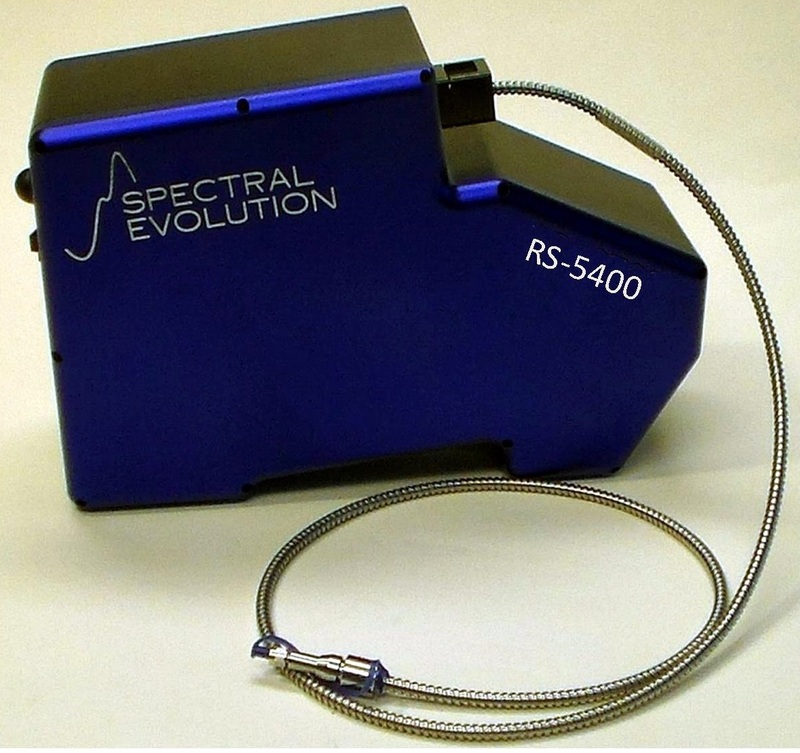 The RS-5400 provides high resolution/high sensitivity in a portable spectroradiometer for field or laboratory use. The RS-5400 has a spectral range of 350-2500nm and three high density photodiode array detectors: 512 element UV-enhanced Silicon array for 350-1000nm; 512 element Extended InGaAs photodiode array for 1000-1900nm; and a 512 element Extended InGaAs photodiode array for 1900-2500nm. The unit is lightweight and runs off a 100-240V AC Universal 50-60Hz power supply or Lithium-ion batteries. The RS-5400 is designed for field work with a rugged chassis, no moving optical parts, and rugged metal clad fiber optic cable that’s field replaceable. It features one touch operation with auto-dark current and auto-exposure. Communications include wireless Bluetooth and USB connection. It includes DARWin SP Data Acquisition software that is Windows 7/8/10 compatible and saves all files as ASCII. The RS-5400 running EZ-ID mineral identification software is well-suited for mining exploration, mineral identification, mineral mapping and alteration mapping. EZ-ID provides pattern matching software that matches your target samples against three libraries of known samples for more than 1000 minerals: the USGS, SpecMIN and GeoSPEC libraries. When used with one of our contact probes – either the 10mm spot size or our 3mm spot size Miniprobe – the RS-5400 allows a geologist to collect a full day of scans in the field with high resolution and high sensitivity. Accessories subject to change depending on availability.